TV show dates: April 13, 2018 — present. Performers include: Richard Dormer, Jodi Balfour, Paterson Joseph, Paul Rhys, Lærke Winther, Shannon Tarbet, Ray Stevenson, Kieran Bew, Faye Castelow, Reece Ritchie, Michael Wildman, Joseph Macnab, Mimi Ndiweni, Tanya Reynolds, Michael Shaeffer, Georgina Rich, Charlotte Dylan, Annabel Bates, Rosalind Eleazar, and Clive Russel. A British crime drama from Harry Williams and Jack Williams, the Rellik TV show is a crime drama with a twist. The series, which originally aired on BBC One in UK, recounts the hunt for a serial killer, but the story is told in reverse (nb. the title is the word killer, in reverse). The series centers on DCI Gabriel Markham (Dormer). This persistent detective is determined to track down the serial killer who scarred him with an acid attack. Although he was once a handsome, confident man, these days, Markham’s psychological scars seem as severe as his physical ones. His wife, Lisa (Winther) is loyal to the core and is patient with her husband as he battles his demons. She just wants to protect him from himself, and from the secret she has long held — one that could destroy their marriage. Their 16 year old daughter, Hannah (Tarbet) is extremely close to her dad. While she is warm and level-headed, as her family’s troubles intensify, Hannah starts acting out. Her friend, Cassie Hughes (Dylan), seems streetwise, but both of these girls could quickly find themselves in over their heads. Bright and intense, DI Elaine Shepard (Balfour) has just transferred to Gabriel’s team. The two soon forge a bond, particularly when the serial killer case starts to get to him. Elaine seems ready to do anything for him, and it is a challenge to balance their personal relationship with their professional one. Although it begins at the end, with the prime suspect apprehended, the story still delves into the killer’s gruesome spree, as the detectives dig for the truth. The series ponders which events shape a person into whom they’ll ultimately become. What do you think? 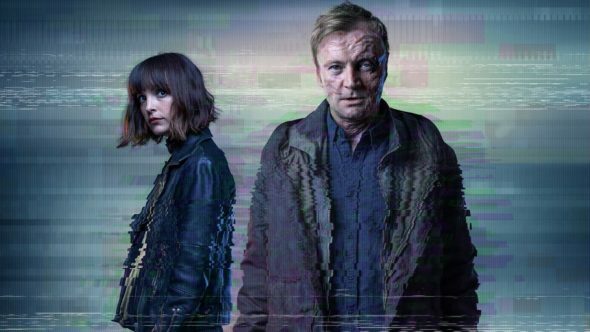 Do you like the Rellik TV series? Should this TV show be cancelled or renewed for another season on Cinemax? The Missing: Will There Be a Third Season?